When Muriel first came to see me, she was already on a medical weight loss program. She could follow the diet plan and with the help of the appetite suppressants was eating smaller amounts. Still, she felt as though her sugar-cravings were out of control. In fact she shared with me that it was controlling her. She said it became real apparent to her just how out of control her addiction was when she realized that her own children would stop eating a piece of pie in the middle because they were full. “That had never occurred to me,” she stated, “it was unimaginable to leave pie on the plate.” While Muriel was happy her children didn’t have the same struggles “I did something right”, she beamed. She wondered why at 50 she wasn’t able to do the same thing. Muriel was concerned that when she stopped taking the medication, she would balloon back up in weight because there would be no governor. This is a common experience of many who chose to go the appetite suppressant route, especially with those who crave sugars. She had a reason to believe this might happen because at a recent family dinner she “tried” a special pie a family member had made and not only ate her small piece, but was snacking from the plates of those who left any on their plates as well as “sneaking” extra nibbles as she helped in the clean up after the meal. She was desperate, she needed to stop sugar-cravings! In my hypnosis practice, I see more and more people who ask for help to stop their sugar-cravings. Hypnosis works really well because it helps the subconscious, emotional mind to find other, more resourceful ways of fulfilling the emotional needs that sugar is currently satisfying. Using the language of the subconscious mind, both visualization and emotion, I will guide my client as they create their own meaningful new ‘programs’ for letting sugar go. They then replace eating sugars with other more positive habits, beliefs and behaviors that they would like to create. With Muriel, I asked her what would be different about her if she no longer craved the sweets. She instantly said she would be lighter and feel free of entanglements. She said it would restore a sense of hopefulness to her. I asked her if she would close her eyes and imagine herself free from sugar. Then I guided her through what that might look like, feel like and sound like. She told me her self-talk was more powerful and positive. She experienced herself bursting through a light of multiple colors and on the other side of the light she became her authentic self. She realized she had been impatient with herself in many areas of her life and that “success will come”, she just needed to give more power to the steps she was taking to reach her goals. Since our appointment, Muriel has reported that her craving for sugar and sweets has greatly reduced, it is now manageable. Sweets are no longer her ‘go to’ when upset and taking a bite of something sweet doesn’t send her down the rabbit hole anymore. She has noticed that she has less brain fog, so that reaching her goals is more clearly defined for her. Her tummy is flatter as well. As an added bonus, her skin is clearer. That really excites her as she knows that reflects what is going on inside her body as well. 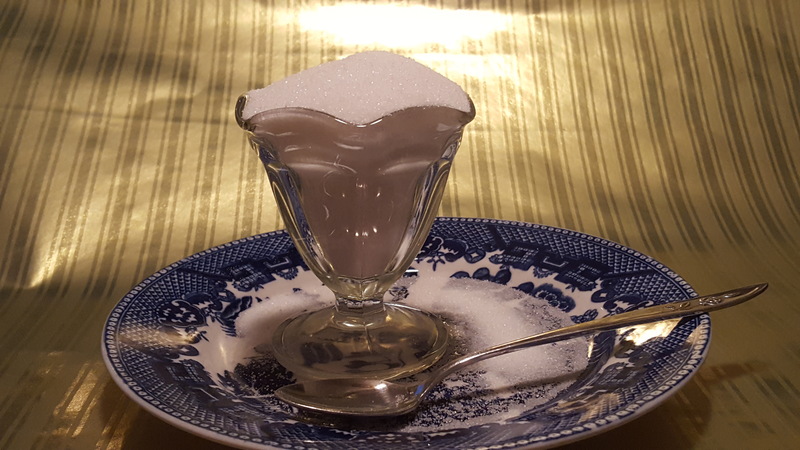 Hypnosis can help with sugar addiction as it can assist you in taking back control of the cravings whether they are physical or in the mind.